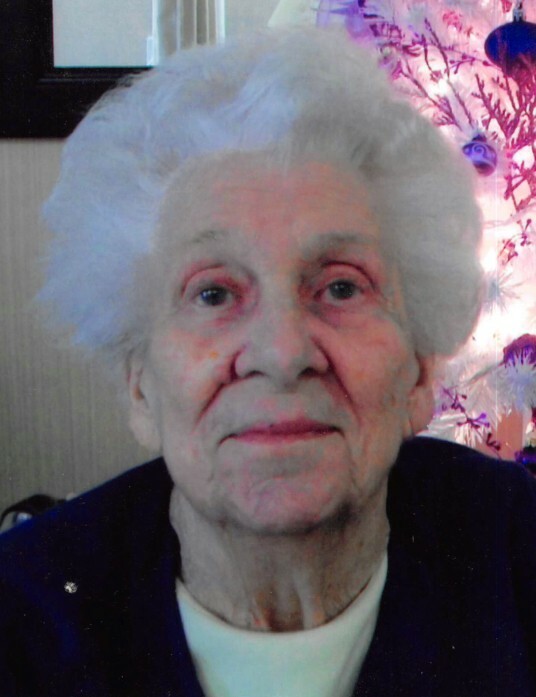 Ruth V. Washburn, 97 of Springfield formerly of Pana and Taylorville, IL passed away on Friday, November 23, 2018 at 10:00 a.m. at Heritage Health Center in Springfield, IL. She was born on August 23, 1921 near Ramsey, IL the daughter of Charlie and Sarah (Tipsword) Shull. She married Frank Medley in 1939 and he preceded her in death in 1975. She then married Zenith Washburn in 1977 and he also preceded her in death in 2007. Ruth worked as Sangamon Card factory and later a homemaker. She was a member of Calvary Baptist Church in Taylorville, IL. She is survived by her Son: Michael (Kay) Medley of Pana, IL; Daughter: Marian Reynolds of Springfield, IL; Grandchildren: Peggy (Kerry) Nordhoff of Rochester, IL; Connie Aichele of Washington, James Reynolds of Springfield, IL; Sally (Mike) Imperio of Virginia, Stephanie (Rob) Medley-Rath of Kokomo, IN, Lindsey (Donny) Medley-Debirum of Ft. Myers FL; Eighteen Great-Grandchildren; Twenty three Great-Great-Grandchildren; Step-Children: Lloyd (Bea) Washburn of Morrisonville, IL; Shirley (Fred) Barber of Mascoutah, IL; Penny Osborn of Pana, IL, Sarah Washburn of Savannah, GA and Several step-grandchildren and step-Great-Grandchildren and step great-great grandchildren. She was preceded in death by her Parents, Brothers: Harvy and Allen Shull, Sister: Mary Dobbs, Son-in-Law: James Reynolds, Grandson Jeffery Reynolds and Step-daughter Cherry Fines. Private family graveside services will be held in Calvary Cemetery in Pana. Memorials may be made to the American Heart Association 3816 Paysphere Circle Chicago, IL 60674 or to the American Cancer Society P.O. Box 22718 Oklahoma City, OK 73123.